These entrancing images are a perfect recap of the year 2016. 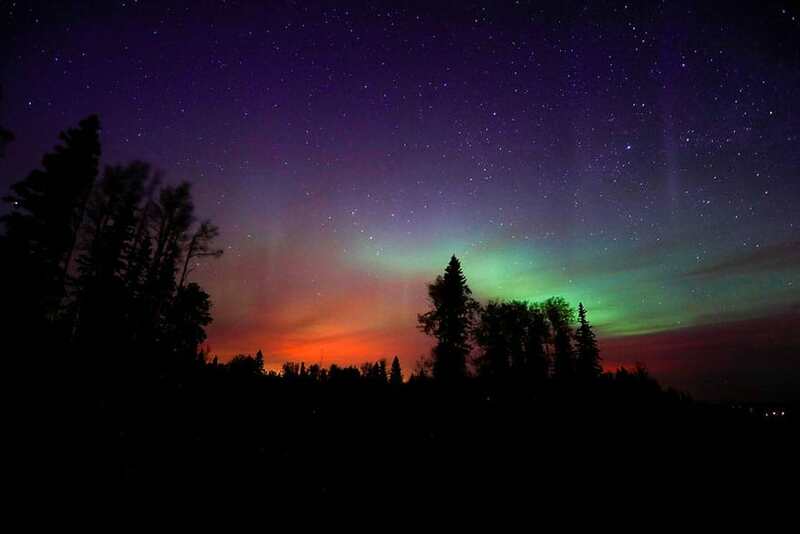 Photographers who have their work published by Reuters are some of the best in the world. Though the subject captured is rarely the same, each image clearly expresses a happening which took place around the world. Photographs, in general, allow one to step back into the past, remember an astonishing moment in history, and reflect on the species’ forward progression. From stunning images portraying activists standing up for the causes they believe in to the effects of war and natural disasters, following are some of the most powerful photos of 2016, according to international news agency Reuters. Compilation courtesy of Distractify. 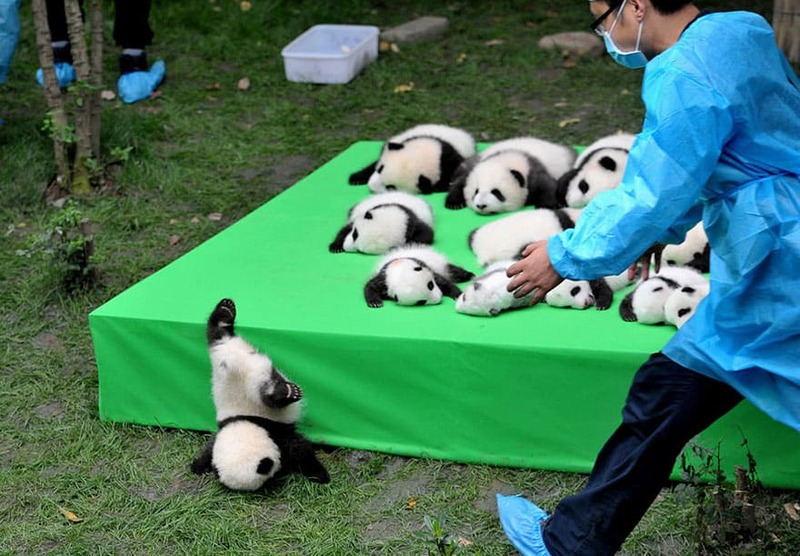 A giant panda cub falls from the stage while 23 giant pandas born in 2016 are seen on a display at the Chengdu Research Base of Giant Panda Breeding in Chengdu, Sichuan province, China, September 29, 2016. 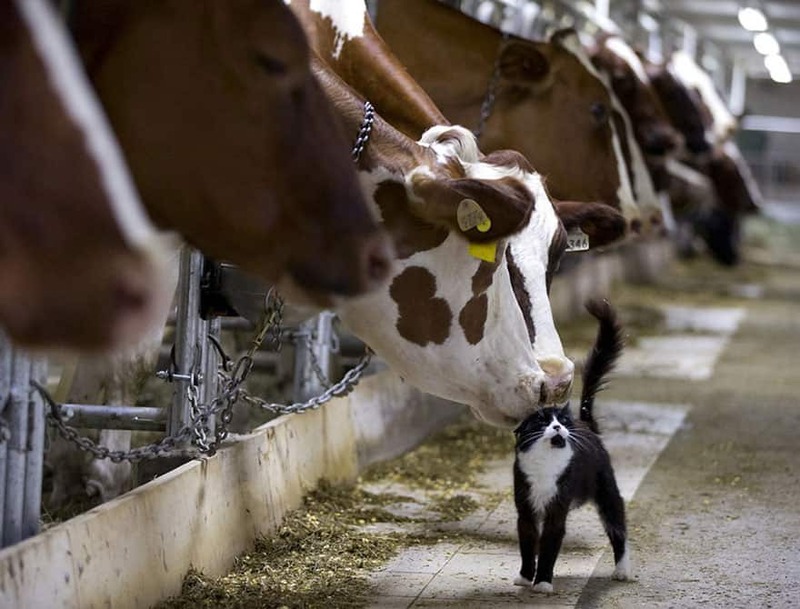 Dairy cows nuzzle a barn cat as they wait to be milked at a farm in Granby, Quebec July 26, 2016. 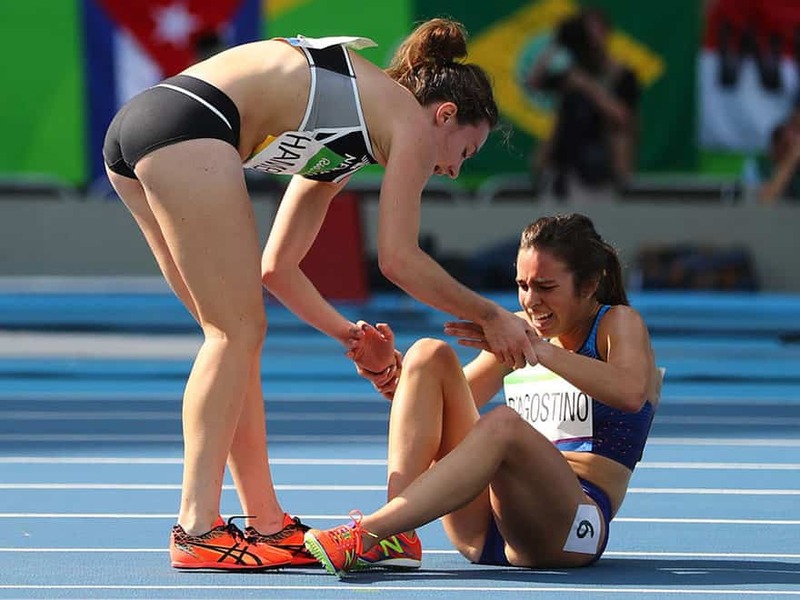 Nikki Hamblin of New Zealand stops running during the race to help fellow competitor Abbey D’Agostino of the USA after D’Agostino suffered a cramp in the 5,000m heats at the Rio Olympics August 16, 2016. 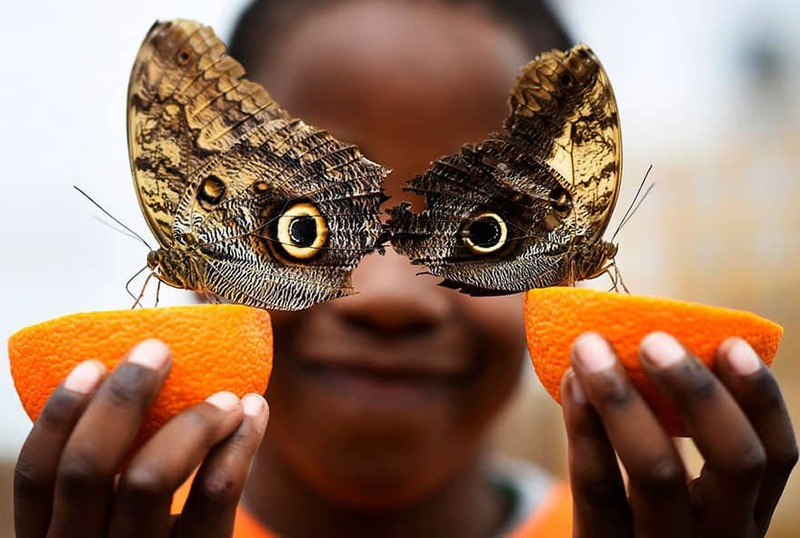 Bjorn, aged 5, smiles as he poses with a Owl butterfly during an event to launch the Sensational Butterflies exhibition at the Natural History Museum in London, Britain. 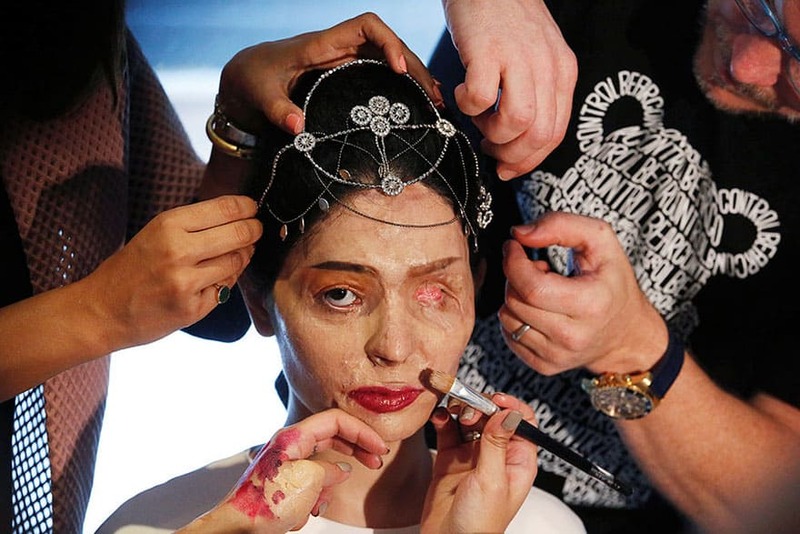 Indian model and acid attack survivor Reshma Quereshi has make up applied before walking to present Indian designer Archana Kochhar’s Spring/Summer 2017 collections during New York Fashion Week in the Manhattan borough of New York, September 8, 2016. 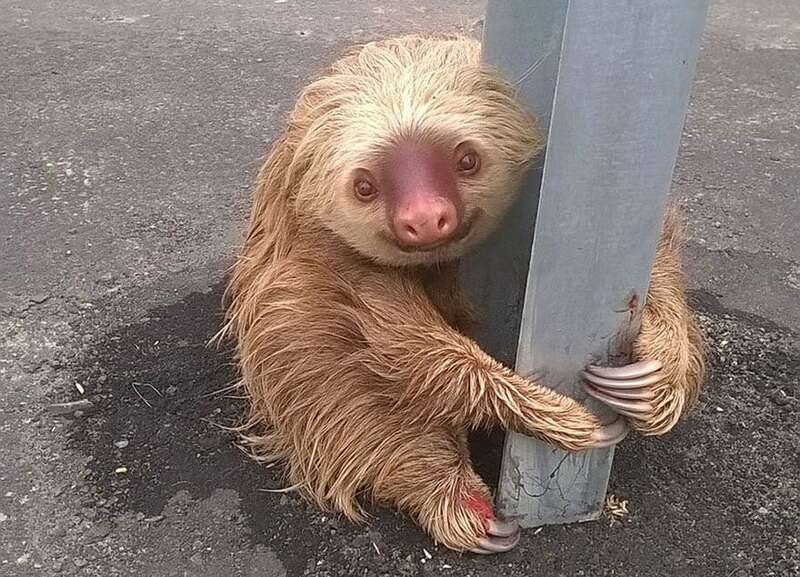 A sloth holds on to the post of a traffic barrier on a highway, in this handout photo provided by Ecuador’s Transit Commission, in Quevedo, Ecuador. Transit police officers, who were patrolling the new highway found the sloth after it had apparently tried to cross the street and returned the animal to its natural habitat after a veterinarian found it to be in perfect condition, according to a press release. 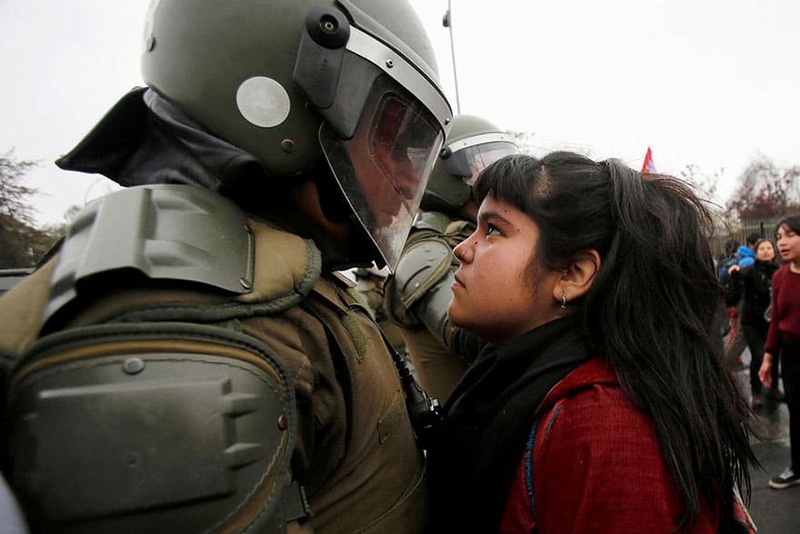 A demonstrator looks at a riot policeman during a protest marking the country’s 1973 military coup in Santiago, Chile September 11, 2016. 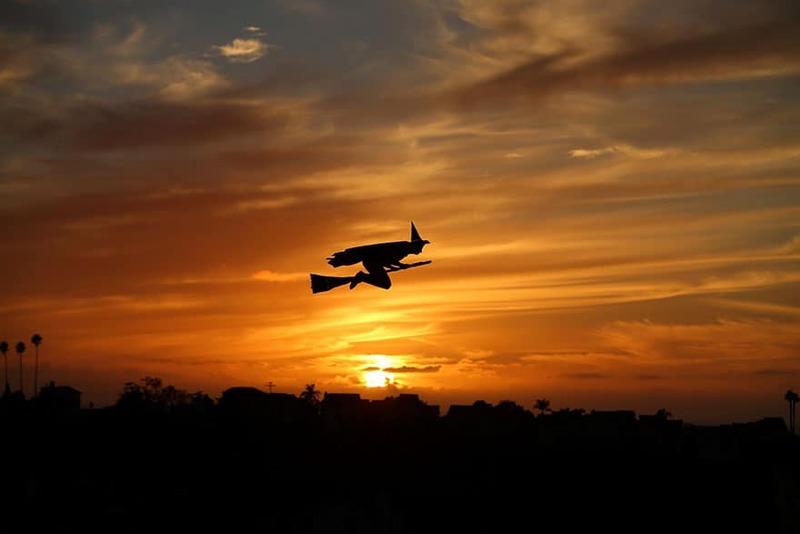 A remote-controlled plane in the form of a witch flies over a neighborhood as the sun sets during Halloween in Encinitas, California, October 31,2016. 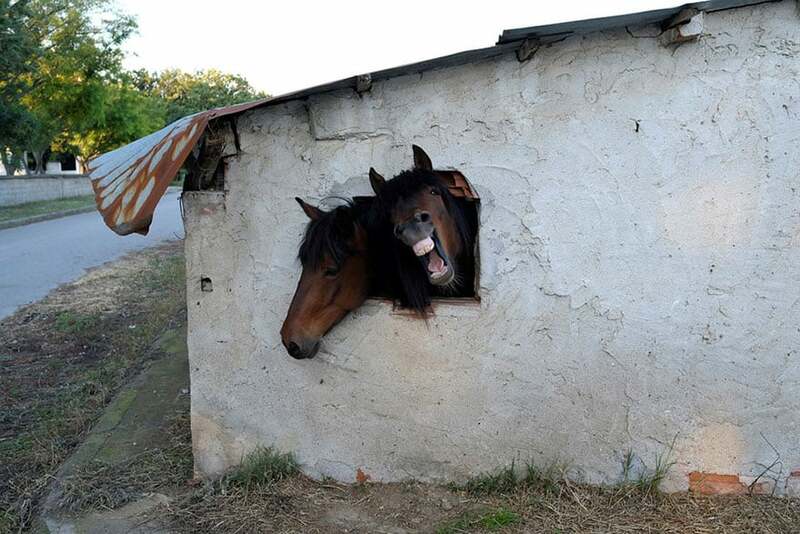 Horses look out a window of their stable near the village of Pontoiraklia, Greece, May 27, 2016. 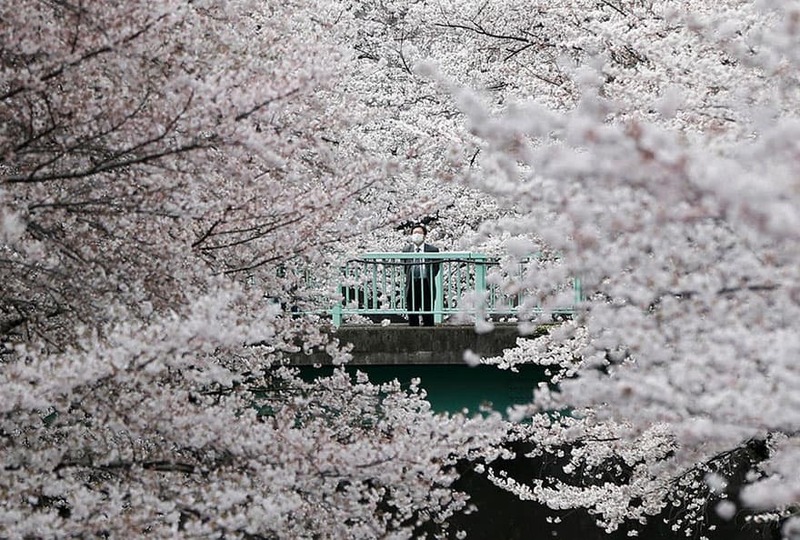 A businessman looks at cherry blossoms in almost full bloom in Tokyo, Japan, April 1, 2016. 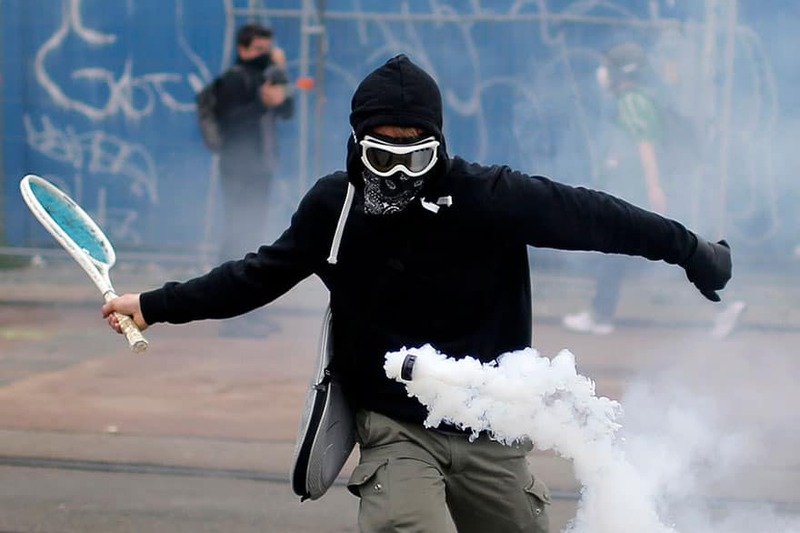 A protester uses a tennis racket to return a tear gas canister during a demonstration to protest the government’s proposed labor law reforms in Nantes, France, June 2, 2016. 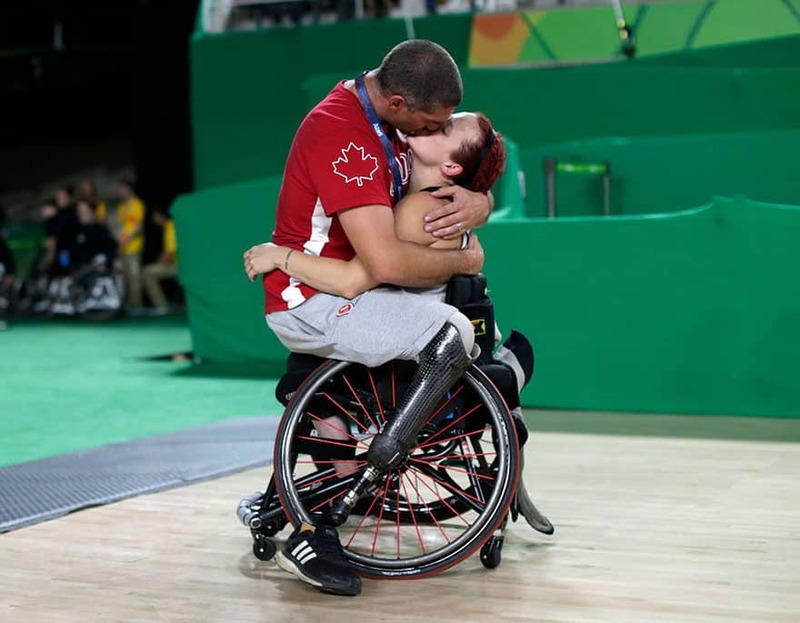 Canada’s men’s wheelchair basketball team player Adam Lancia embraces his wife Jamey Jewells of Canada after her women’s wheelchair basketball playoff match against China at the Rio Paralympics September 16, 2016. 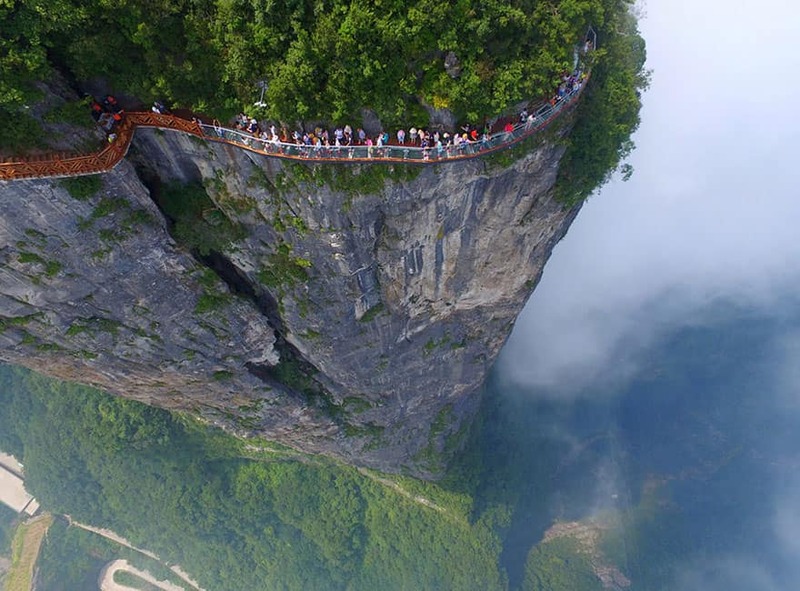 People walk on a sightseeing platform in Zhangjiajie, Hunan Province, China, August 1, 2016. 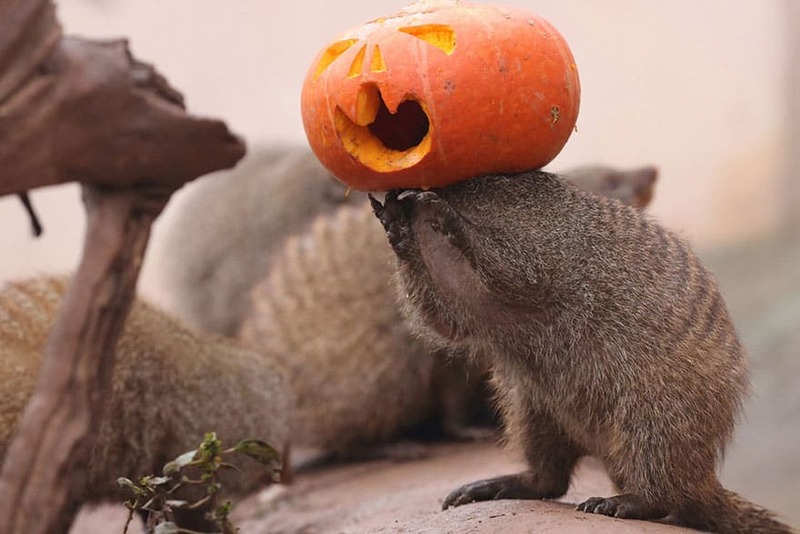 A banded mongoose plays with a Halloween pumpkin at a zoo in Chongqing, China, October 29, 2016. 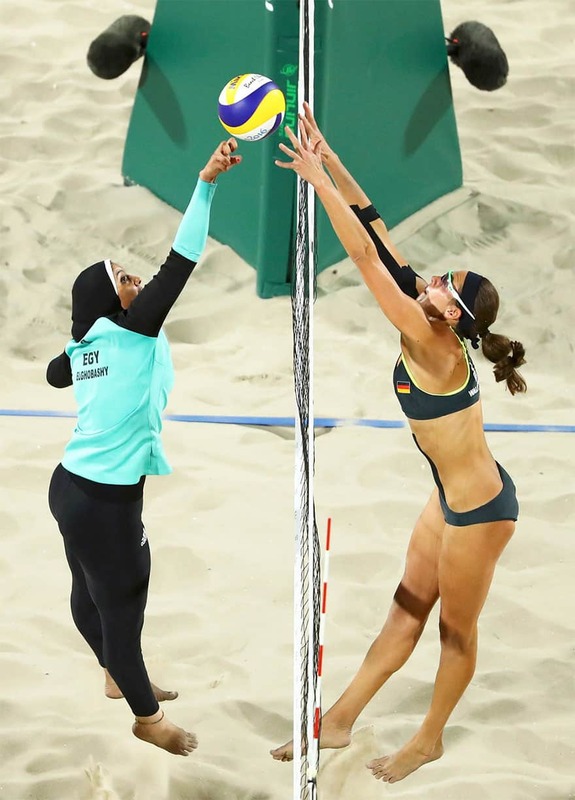 Doaa Elghobashy of Egypt and Kira Walkenhorst of Germany compete in the preliminary beach volleyball event at the Rio Olympics August 7, 2016. 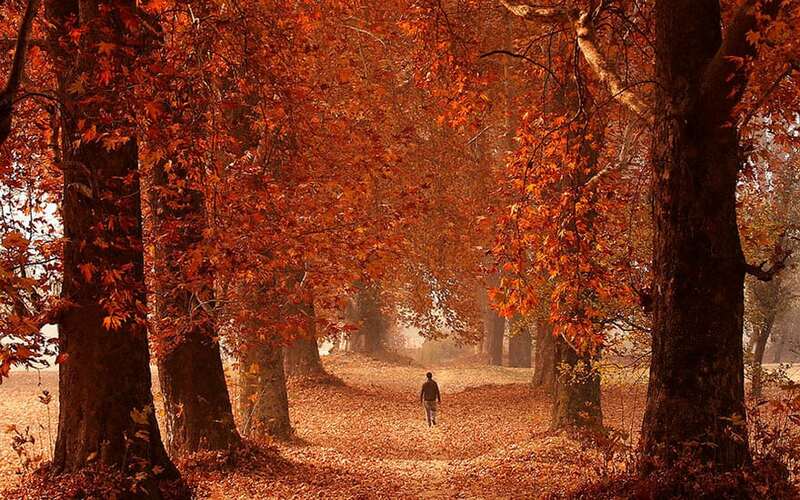 A man walks through a garden on an autumn day in Srinagar, Indian-administered Kashmir, November 15, 2016. 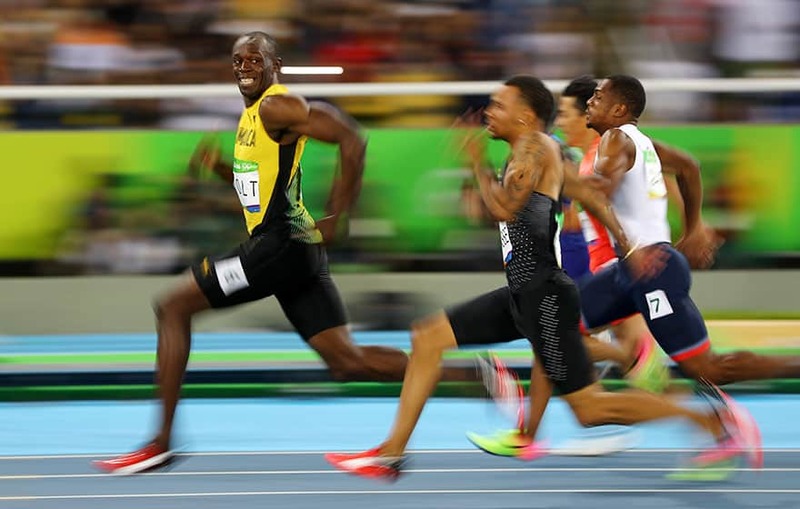 Usain Bolt of Jamaica looks at Andre De Grasse of Canada as they compete in the men’s 100m semifinals at the Rio Olympics August 14, 2016. 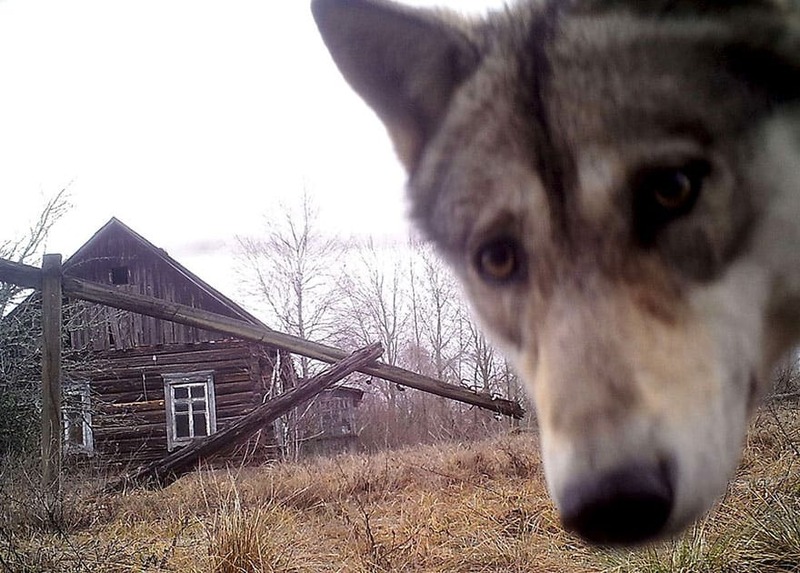 A wolf looks into the camera at the 30 km (19 miles) exclusion zone around the Chernobyl nuclear reactor in the abandoned village of Orevichi, Belarus, March 2, 2016. 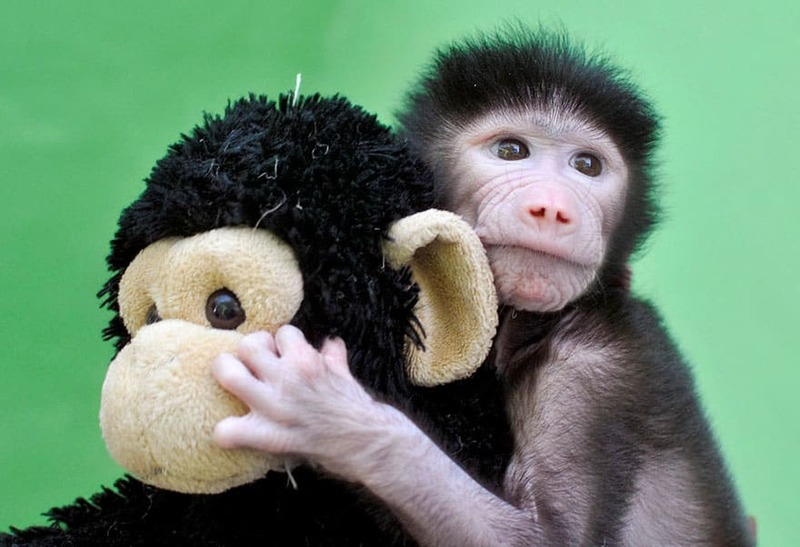 A 23-day-old hamadryas baboon plays with a stuffed toy at Sri Chamarajendra Zoological Gardens after the baboon, according to a zoo doctor, was abandoned by its mother after its birth on April 4, in the southern city of Mysuru, India, April 28, 2016. 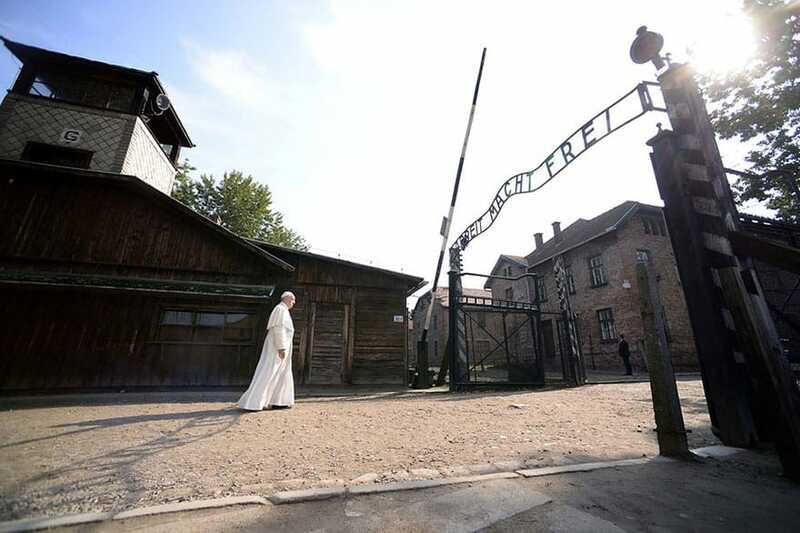 Pope Francis walks through Auschwitz’s notorious gate with the sign “Arbeit Macht Frei” (Work sets you free) during his visit to the former Nazi death camp, Poland, July 29, 2016. 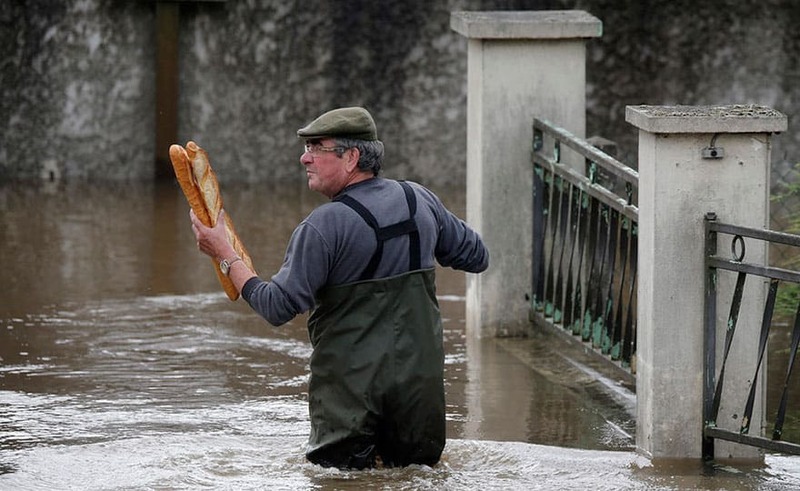 A resident brings French baguettes to his mother’s flooded house after heavy rain falls in Chalette-sur-Loing Montargis, near Orleans, France, June 1, 2016. 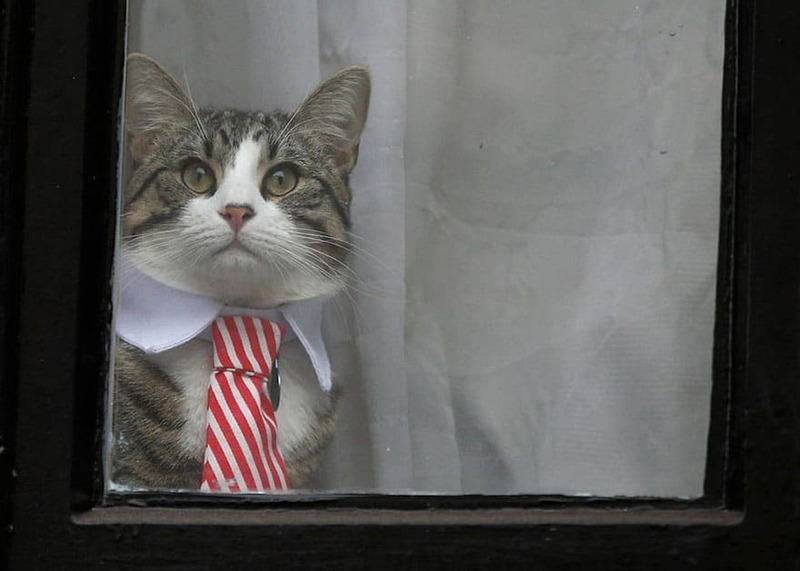 Julian Assange’s cat sits at the window of Ecuador’s embassy as prosecutor Ingrid Isgren from Sweden interviews Assange in London, Britain November 14, 2016. 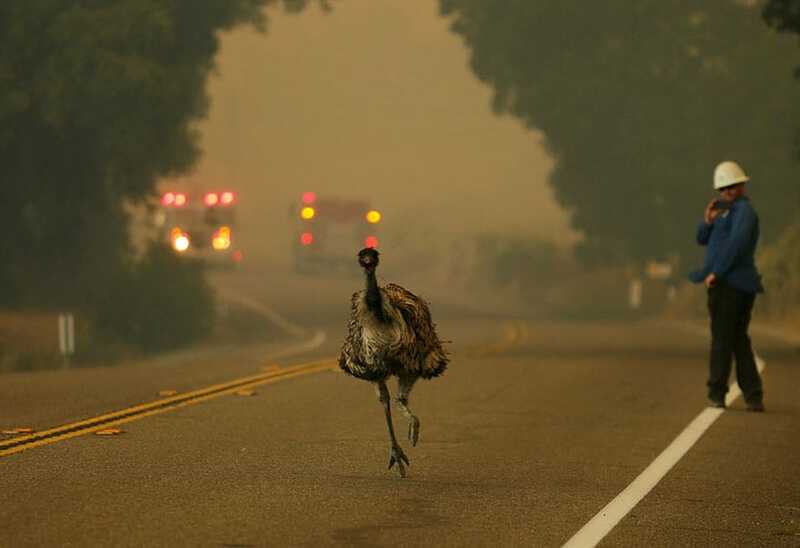 An emu runs to escape an approaching wildfire as it burns near Potrero, California, June 20, 2016. 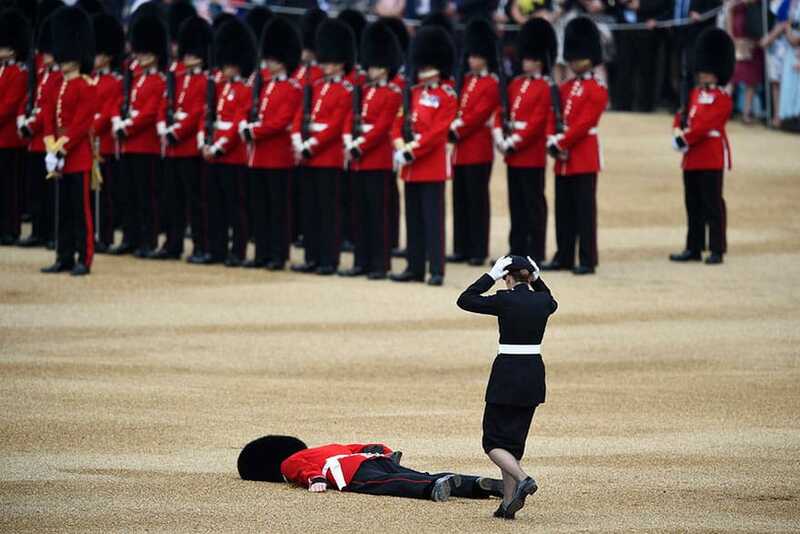 A Guardsman faints at Horseguards Parade for the annual Trooping the Colour ceremony in central London, Britain June 11, 2016. Trooping the Colour is a ceremony to honour Queen Elizabeth’s official birthday. The Queen celebrates her 90th birthday this year. Syrian refugee girl Housaida rests inside the Spanish rescue vessel Astral after being rescued by the Spanish NGO Proactiva off the Libyan coast in the Mediterranean Sea August 18, 2016. 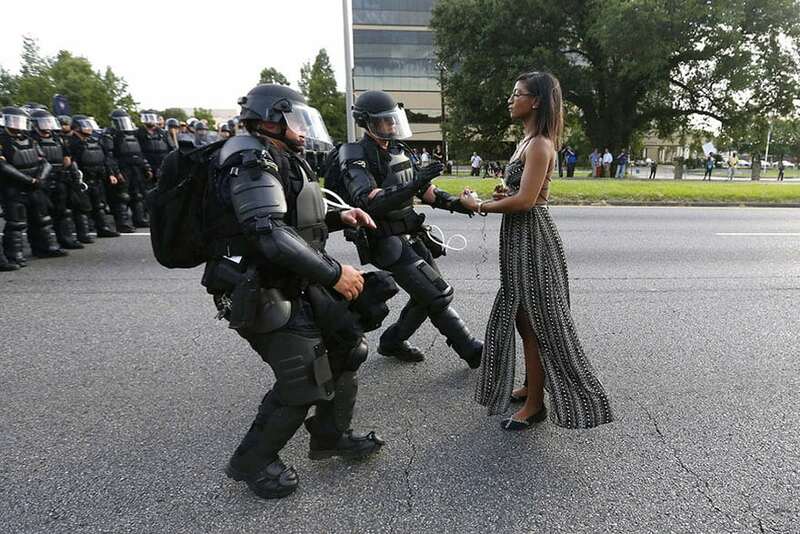 Protester Ieshia Evans is detained by law enforcement near the headquarters of the Baton Rouge Police Department in Baton Rouge, Louisiana, during a demonstration against the shooting death of Alton Sterling July 9, 2016. 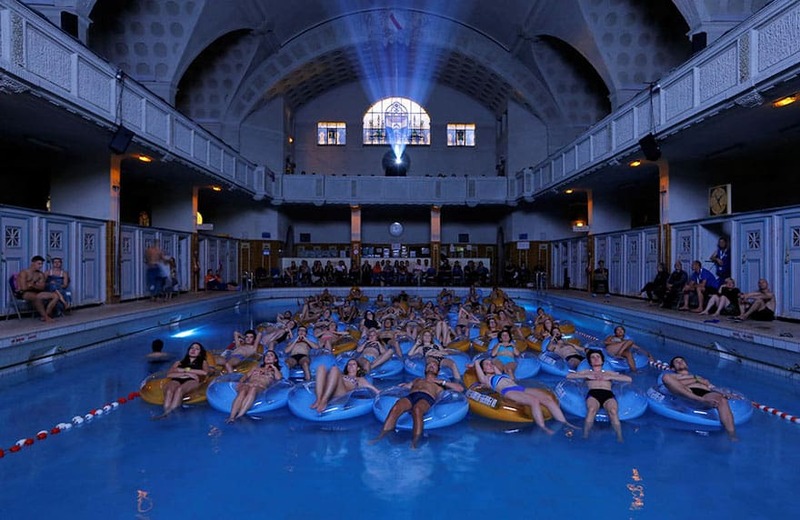 People attend the screening of the film “Jaws” by director Steven Spielberg, screened at Strasbourg public baths during the European Fantastic Film Festival, in Strasbourg, France, September 18, 2016. 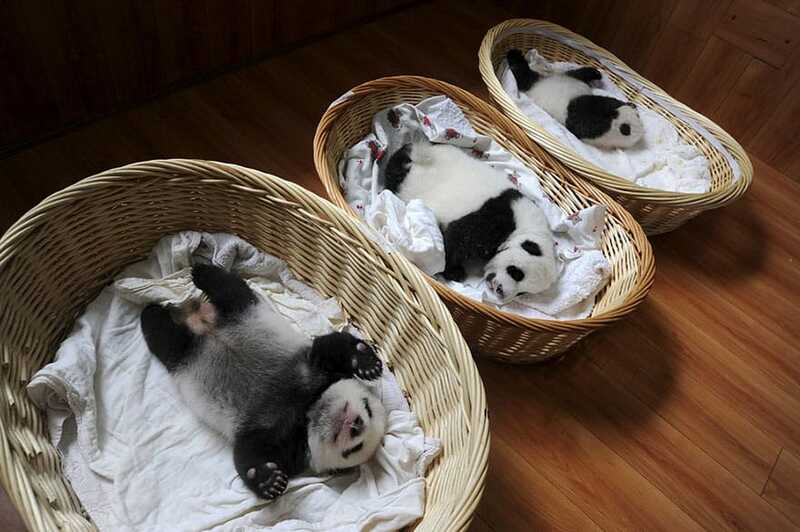 Giant panda cubs are seen inside baskets during their debut appearance to visitors at a giant panda breeding centre in Ya’an, Sichuan province, China, August 21, 2015. A total of 10 giant panda cubs that were born in the center this year, aging from one week to two months, met visitors for the first time, local media reported. Chiara Micheletti helps her mother Marisa Vesco take a shower in Cossato, Italy, June 7, 2015. Marisa suffered from incurable liver cancer and in the last months of her life she was not able to bathe herself. Her daughter Chiara cherished the time she was able to help her mother. 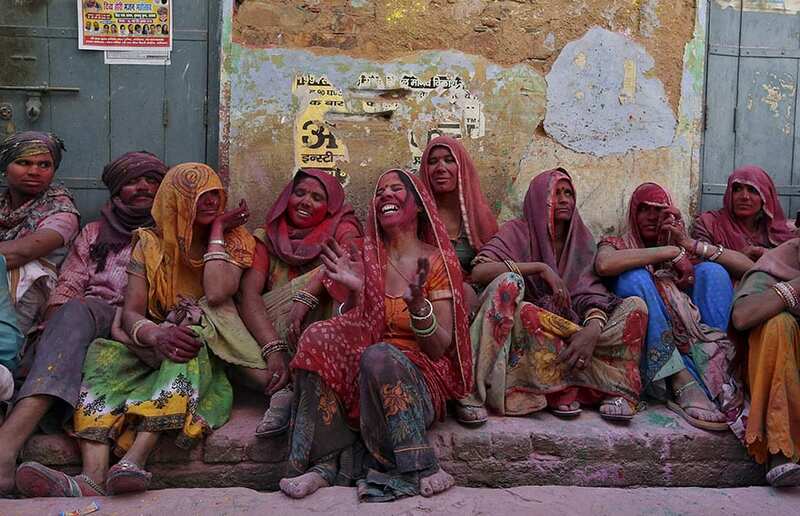 Hindu devotees laugh as they watch the religious festival of Lathmar Holi, where women beat the men with sticks, in the town of Barsana in Uttar Pradesh March 17, 2016. 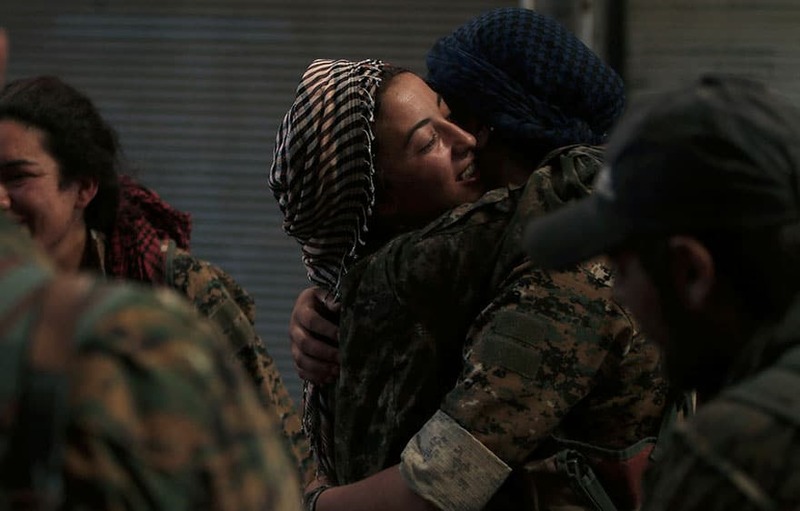 Syria Democratic Forces (SDF) female fighters embrace each other in the city of Manbij, in Aleppo Governorate, Syria, August 10, 2016. 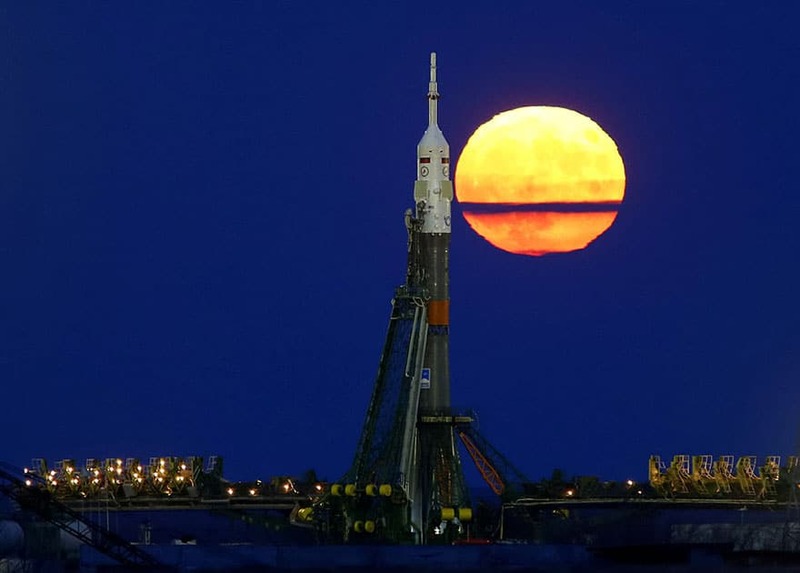 The supermoon rises behind the Soyuz MS-03 spacecraft, ahead of its upcoming launch to the International Space Station (ISS), at the Baikonur cosmodrome in Kazakhstan November 14, 2016. 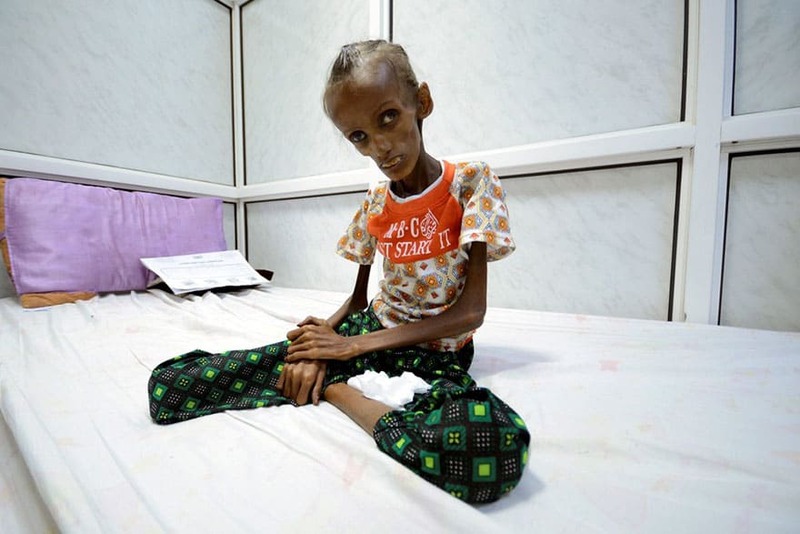 Saida Ahmad Baghili, 18, who is affected by severe acute malnutrition, sits on a bed at the al-Thawra hospital in the Red Sea port city of Houdieda, Yemen October 24, 2016. 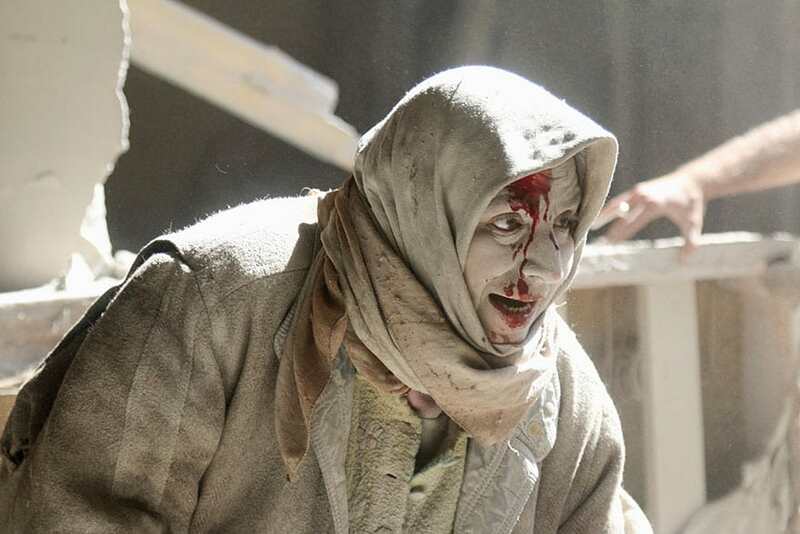 An injured woman reacts at a site hit by airstrikes in the rebel-held area of Old Aleppo, Syria, April 28, 2016. 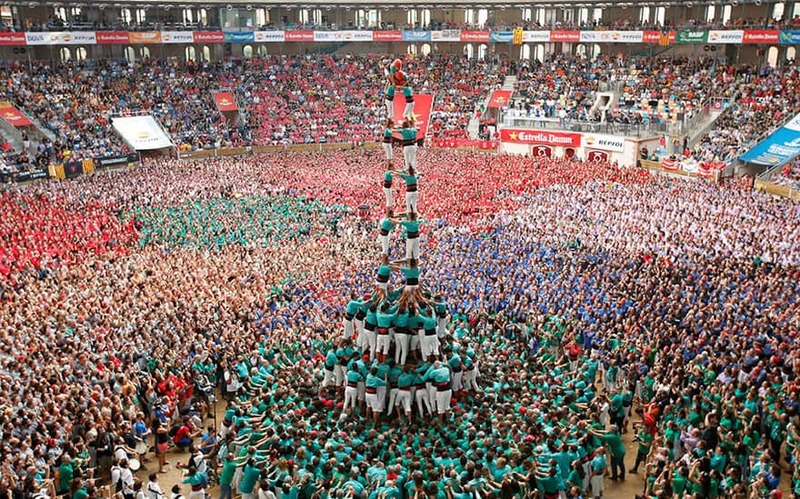 Castellers de Vilafranca form a human tower called “castell” during a biannual competition in Tarragona city, Spain October 2, 2016. 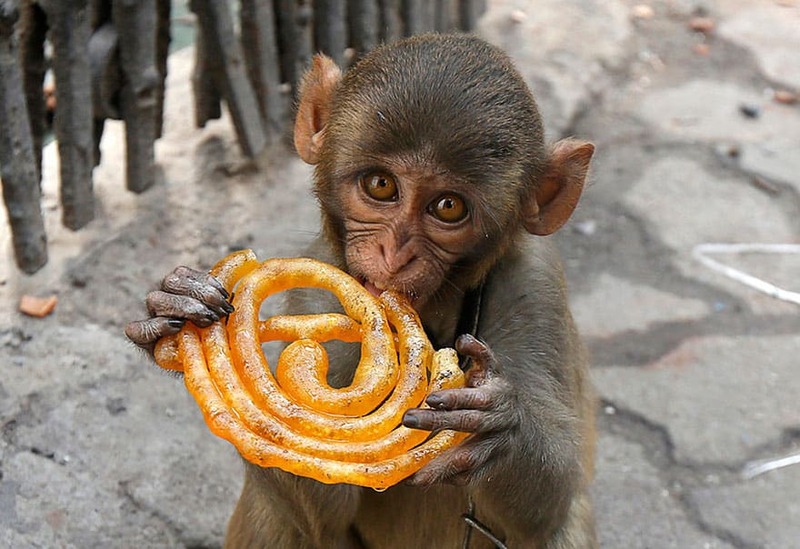 Musafir, a pet monkey, eats a Jalebi sweet on a pavement in Kolkata, India, June 9, 2016. 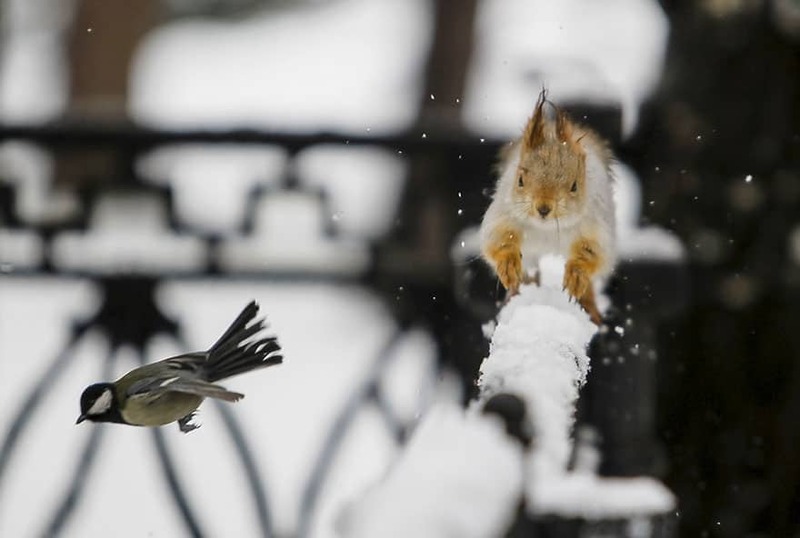 A tomtit bird flies past a squirrel running on a fence after a snowfall in a park in Almaty, Kazakhstan, January 12, 2016. 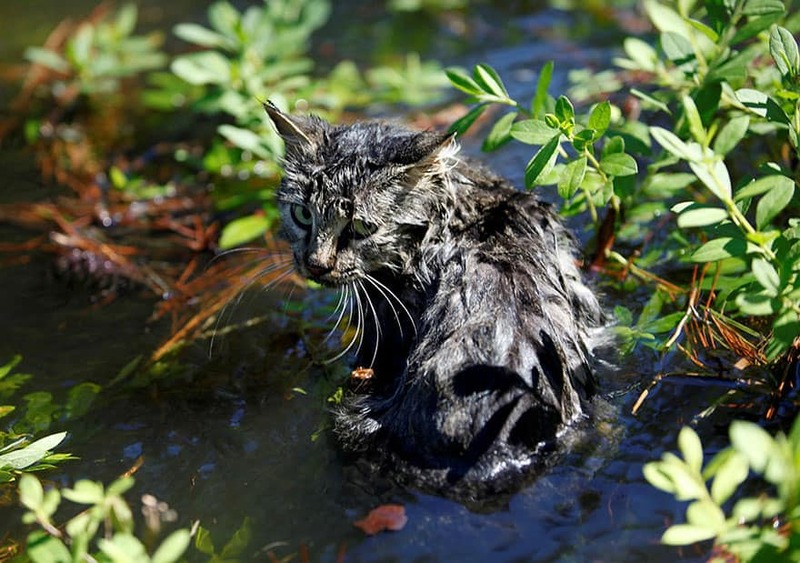 A cat sits in the flooding waters from Hurricane Matthew in downtown Nichols, South Carolina, October 10, 2016. 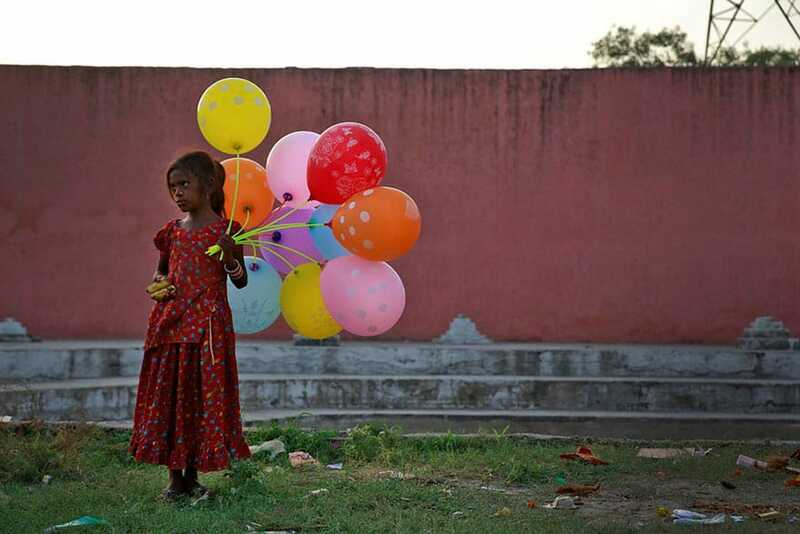 A young girl sells balloons by the Yamuna River on the last day of the ten-day-long Ganesh Chaturthi festival in Delhi, September 15, 2016. 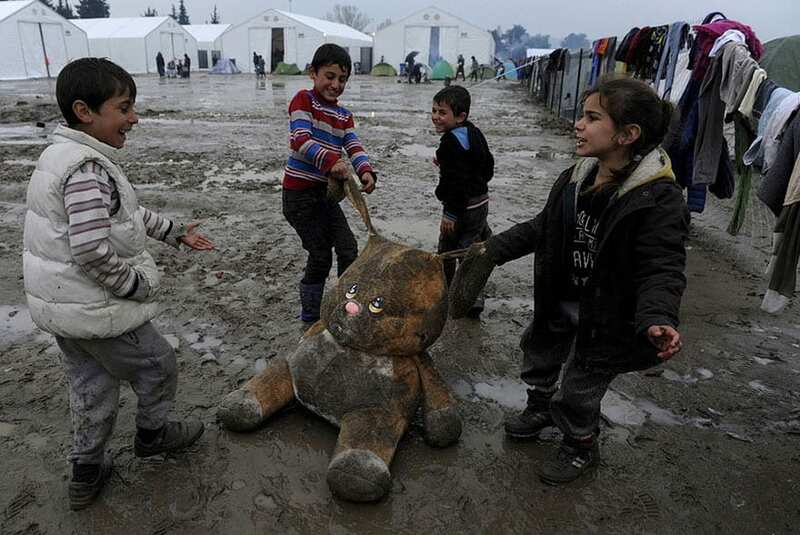 Refugee children play with a stuffed toy at a muddy makeshift camp at the Greek-Macedonian border, near the village of Idomeni, Greece March 15, 2016. A Buddhist monk lights a candle at Wat Phra Dhammakaya during a ceremony on Makha Bucha Day in Pathum Thani province, north of Bangkok February 22, 2016. The Dhammakaya temple is regarded as the country’s richest Buddhist temple. 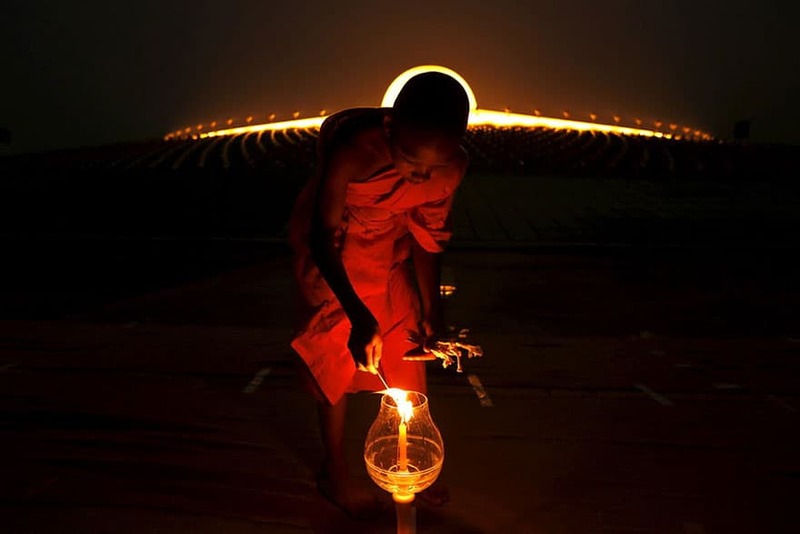 Makha Bucha Day honors Buddha and his teachings and falls on the full moon day of the third lunar month. Please share this compilation and comment your thoughts below!